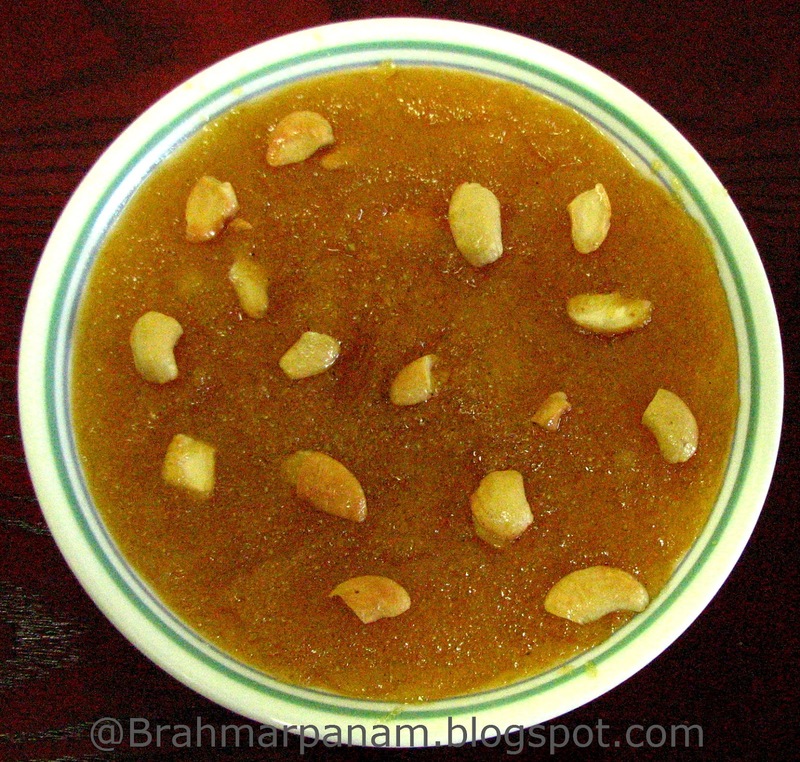 This is another of my mother's recipe who is an expert in Rava Kesari. This recipe serves 4. Heat 1 tsp Ghee and roast the raisins and the nuts till they turn golden brown and keep aside. Now roast the Rava in the same pan till it turns golden brown and keep aside. Add water to the pan and bring it to a boil. Simmer the stove and add the roasted rava slowly and mix well so as to not form any lumps. Cook the rava till it is done. Add the Sugar and mix well. Then add the remaining ghee and mix well till all the lumps are removed. Add the cardamom and the food colouring and mix again. Switch off the stove and garnish the Kesari with the roasted raisins and nuts.